Beach Olympics is an adventure therapy program that will encourage friendly competition between the members of your organisation; providing fun, sun, sand and surf! Purple Soup’s Beach Olympics provides a fun filled myriad of beach based team building events, making it an exciting affair for your organisation. A mix of fun, crazy, competitive team challenges and games; taking in the sun with the sand between your toes. If you are really adventurous we can include some water based events like raft building, sea kayaking and stand up paddle boarding that will engage and ignite the members of your organisation. 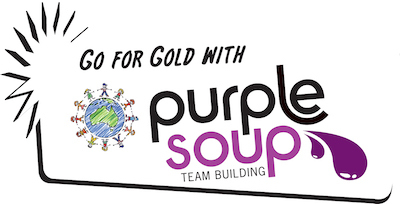 Purple Soup can customise this event to suit your organisation’s requirements including high quality medallions for first, second and third place teams that can incorporate your logo.